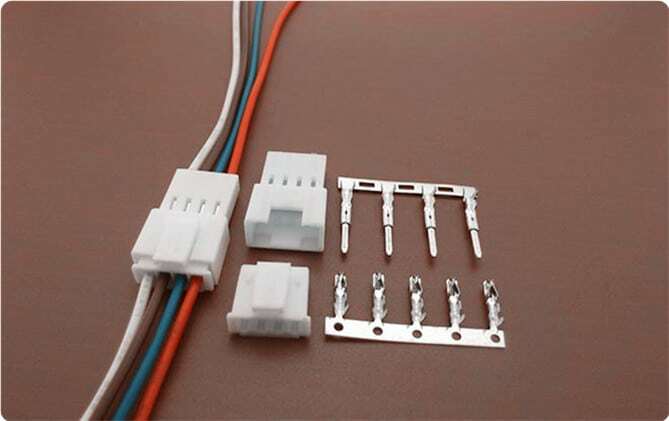 SCT2509 Series are compatible Yeonho SMH SMP 2.5mm series wire to wire connectors. Scondar offers SCT2509 Series as a replacement and cheaper alternative of Yeonho SMP/SMH 2.5mm pitch wire-to-wire connector in a complete package including the male housing, female/receptacle housing, female terminal and male terminal, all manufactured with precision-fitting and durability ensuring accurate mating in electronic devices. These SMH SMP wire-to-wire connectors are ideal for battery connections such as in automotive, RV and marine applications where power quick-disconnect essential and high-current DC charging circuits can be mostly found. The SMH SMP series has a special locking mechanism that is suitable for use under strong vibration and in applications with tough requirements for mechanical safety and reliable holding forces. You can expect that your wire-to-wire connector package is undisturbed during the trip and has maintained its vitality even during your production stages, which is why a lot of our customers has raved about our product for both cheaply-priced and, at the same time, resembles the Yeonho SMH SMP 2.5mm pitch wire-to-wire product in performance and quality.